outlines legal issues regarding access to and transfer of data, data portability and liability of non-personal, machine-generated digital data. In light of an increasing digitalization and the resulting requirements, European industry is facing unprecedented challenges. Without a doubt, the digital transformation of industry demands cooperation at all levels: between companies, industries and institutions, across national borders and across the respective emerging digital platforms. The cooperation with top universities worldwide is also essential. In line with this, the advances of the industry-driven European R&D public private partnerships, such as the European Factory of the Future Research Association (EFFRA), the Big Data Value Association (BDVA) and euRobotics and also platforms such as Alliance Industrie du Futur and Plattform Industrie 4.0, are proving being very fruitful. Big Data PPP Information and Networking Days 2017, organised by the Unit Data Policy and Innovation (CNECT G1), will take place on 17 and 18 January 2017 in Luxembourg Congrès in Luxembourg. The aim of the event is to inform and guide potential applicants preparing project proposals, to facilitate sharing of ideas and experiences. It will give participants the chance to network and to find partners for their projects. It will also give the opportunity to the first Big Data PPP projects, issued from the 2016 call for proposals, to present their objectives and roadmap and to meet proposers. Incubate ideas and build consortium for 2017 H2020 calls. 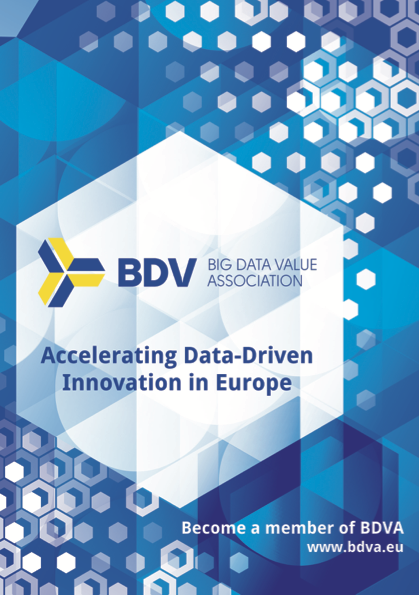 BDVA Valencia Summit held a new meeting of the Network of Big Data Centers of Excellence in Europe. The main focus of the Center of Excellence (CoE) Network will be research topics, and how they can be transferred into relevant industries. The initiators of this bold initiative already decided on the next steps: collect best practices and key achievements of each center, define big challenges, meet on regular basis, and align with other European initiatives. EuDEco organised an interesting workshop on 1 December 2016 in Valencia, in the frame of the BDVA Summit, entitled Making the best of big data – How do data economy actors adapt their strategies to changing framework conditions in Europe. In the introductory presentations, the representatives of two companies, working with big data, explained how they had to adapt their strategies to changing framework conditions in Europe (in connection with big data and data reuse), what challenges they faced when doing so and how these challenges could be overcome.